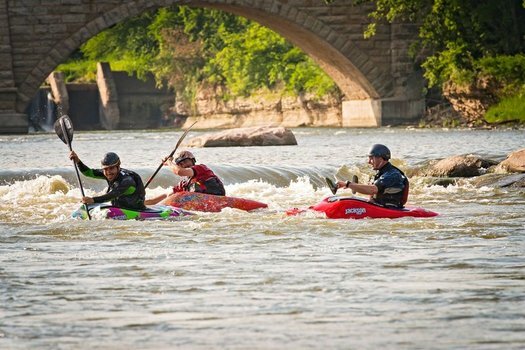 The entire Grand River watershed has a huge win last month with an $8M grant awarded through the Regional Conservation Partnership Program. We are working hard to submit permits and move forward with this transformative project! 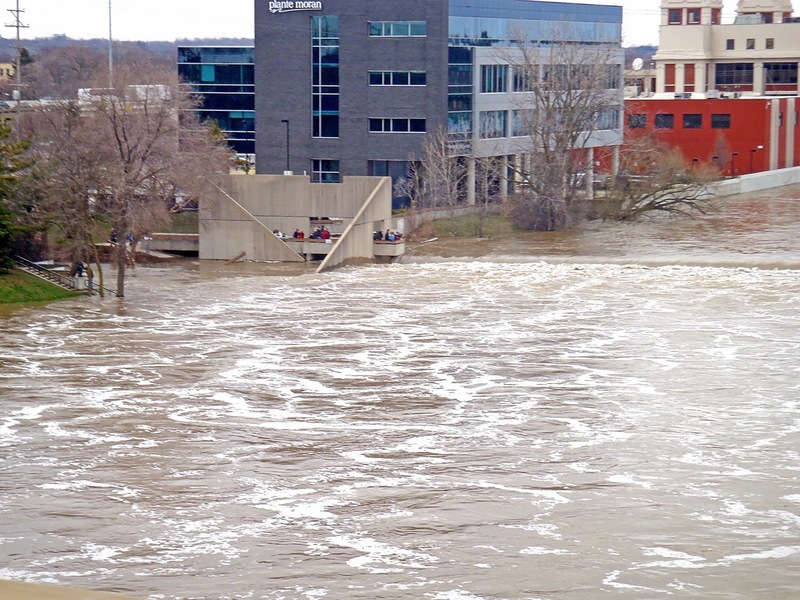 Crain's Detroit Business gives a great summary of the Grand Rapids River Revitalization. 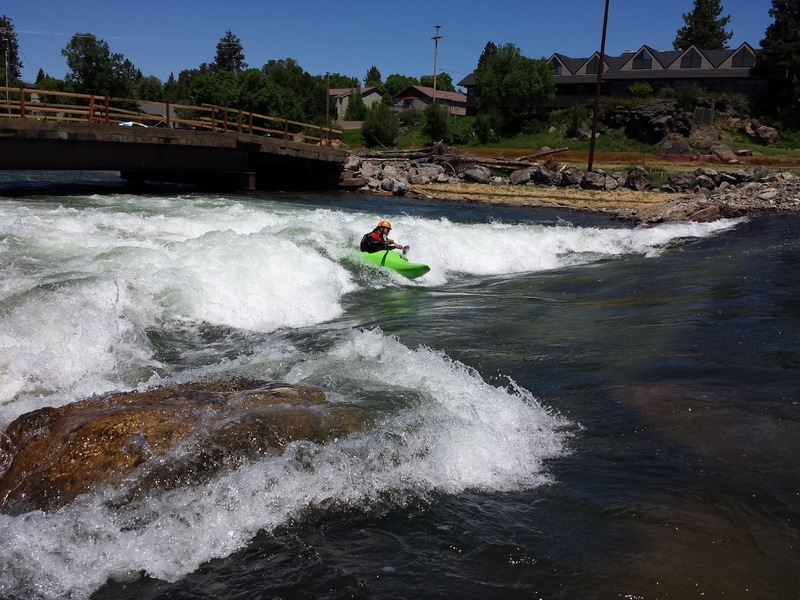 The Colorado Dam Safe Passage in Bend, Oregon has won another award. 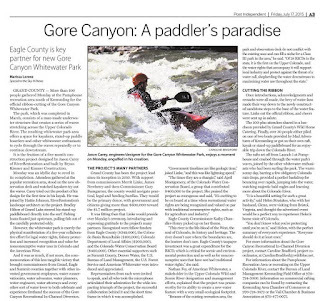 This time from the Engineering News-Record Northwest Region. 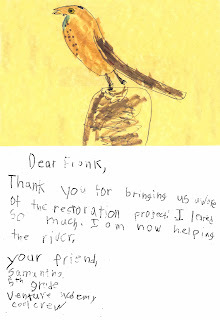 The project was recognized for its merit for improvements to water and/or the environment. 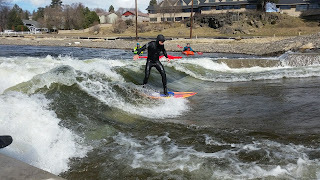 The Bend Whitewater Park was part of a larger effort from the Parks and Recreation District to enhance the community's connection with the Deschutes River in the heart of Bend. They have been selected to receive a National “Facility or Park Design Award” by the National Recreation and Park Association. Click the link below to read more. 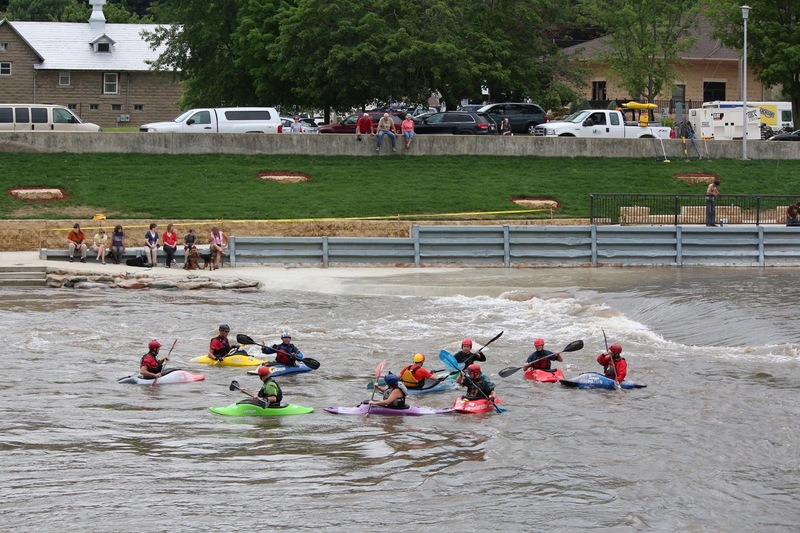 The whitewater feature, "The Gobbler", on the Turkey River in Elkader, and the associated river access was awarded a Smart Growth Award in 2015. 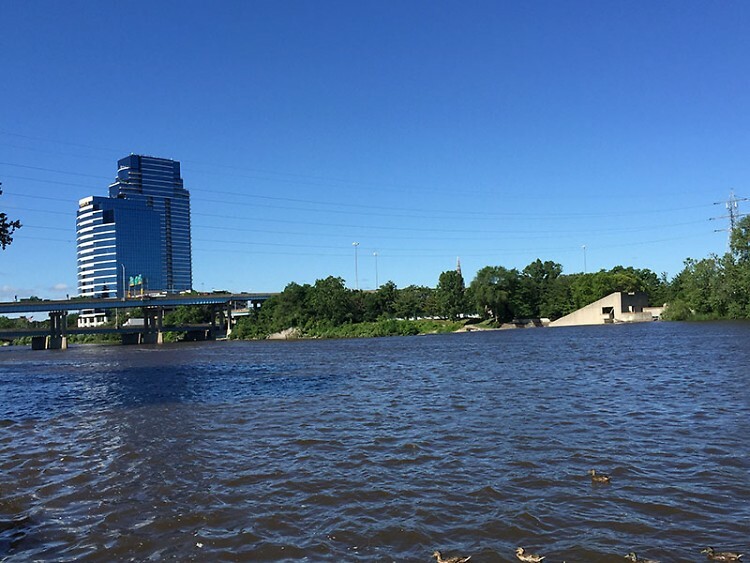 The group, 1000 friends of Iowa, has introduced new categories for awards such as, Complete Streets/Transportation, and Urban Placemaking/Green Spaces to encompass a broader range of smart growth projects and to encourage more of these projects to take place. 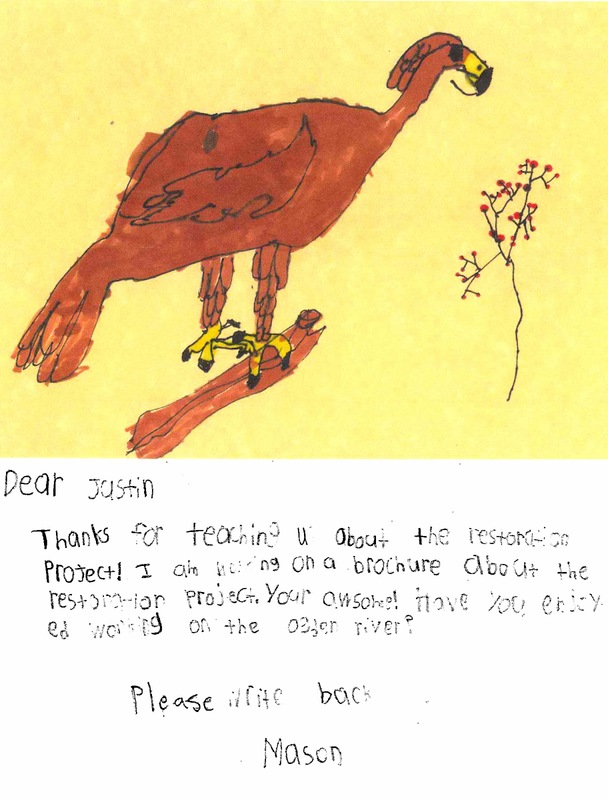 Read more by clicking the link below. 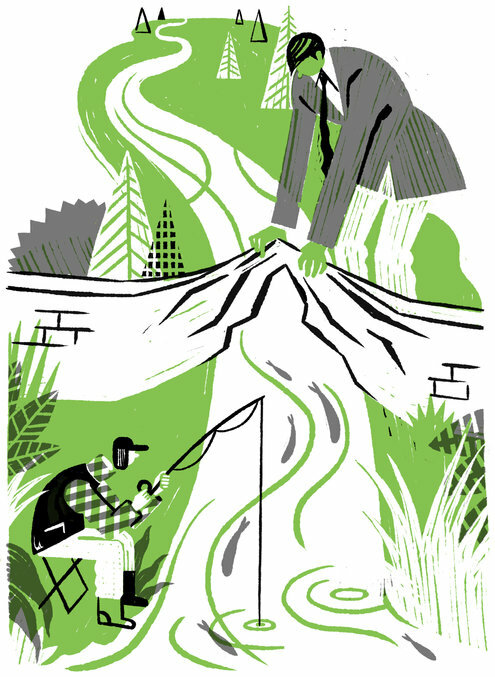 "The millennial generation is much more about weaving activities into their daily life.” This article from Bridge Magazine discusses the cultural and economic shift of outdoor industry and what Michigan, and Grand Rapids, are doing to keep up. 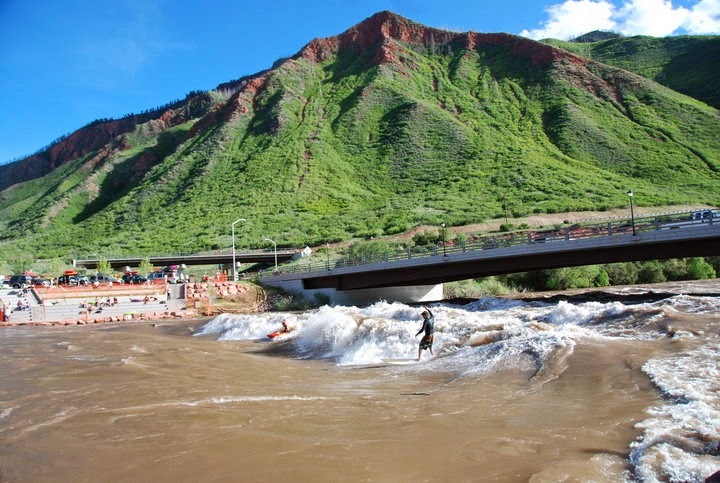 Elected officials in Basalt and Pitkin County agreed Tuesday night to work together to try to start construction of a whitewater park on the Roaring Fork River this year. 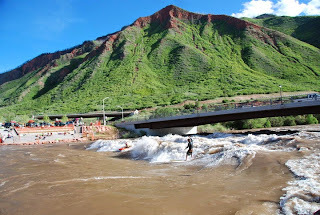 Basalt whitewater park: simple or gathering place? 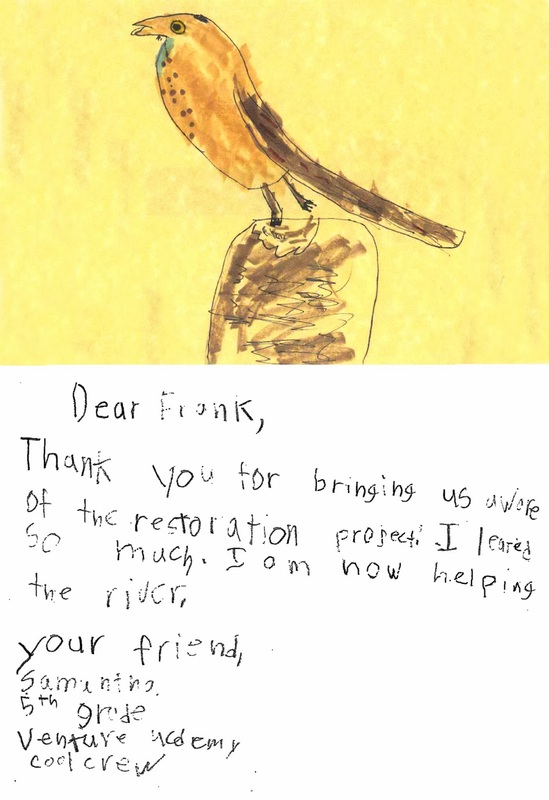 RiverRestoration is working with the Jordan River Commission on the Lower Jordan River Project, Big Bend Restoration, Get-Into-The-River, and the Best Practices Training Series. 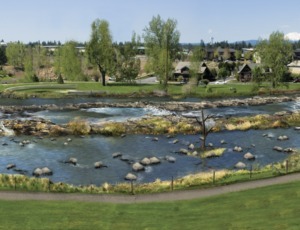 Above is a link to a great article on the economic benefits of whitewater parks to communities using our recently completed project in Bend, Oregon as an example. 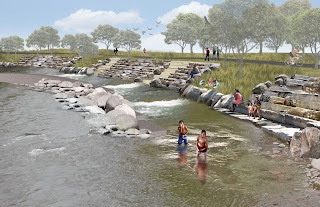 The link below shows the grand opening of the Bend park and the draw at has created. 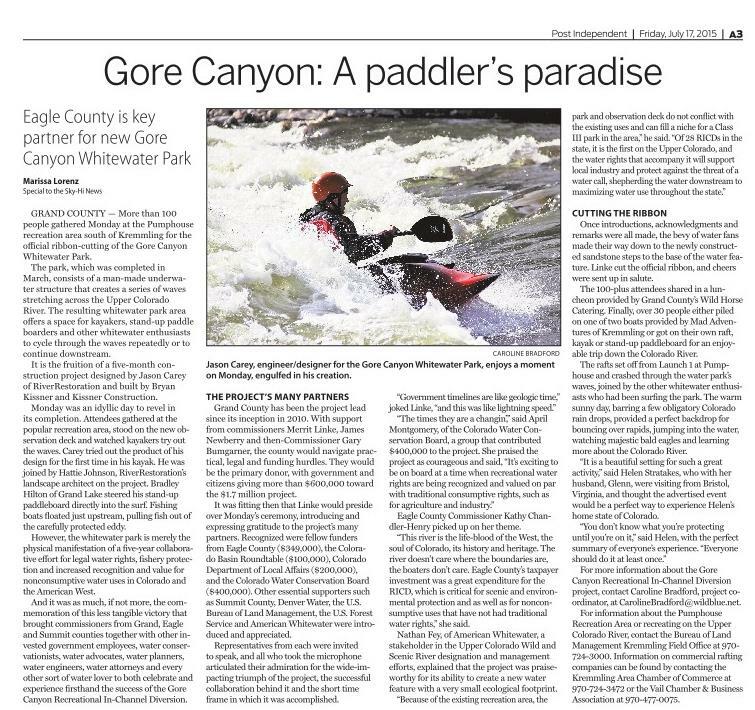 Two breweries have collaborated to brew the Paddle Trail Ale which supports and celebrates the almost completed project in Bend, Oregon which created safe passage over the Colorado Dam. 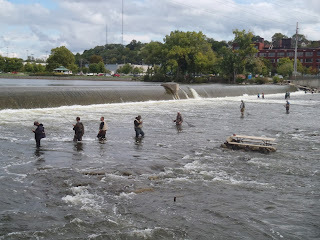 After hard work and endless and amazing help from Jessica Marsan of Rapid Image Photo, Justin Scheilble of Adventures in Whitewater, and John Anicito of the USRA GoreFest 2015 was a blast! 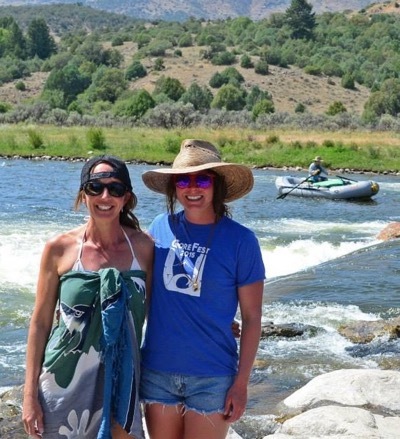 Thanks to American Whitewater for recognizing our Landscape Designer, Hattie Johnson, as the August Volunteer of the Month. Bend, OR Whitewater Park Soon to Open! 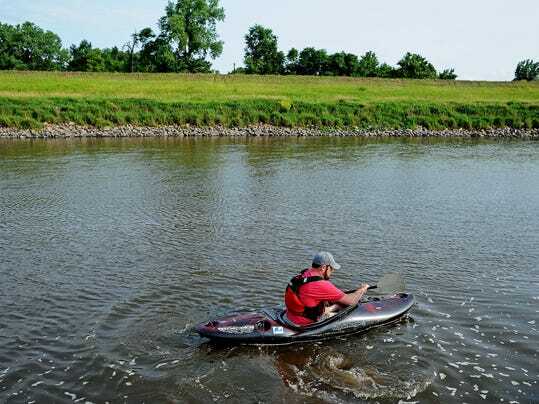 Last week RiverRestoration performed an inital site visit of the Tailrace Park in Columbus, NE to determine the conceptual level of feasibility of a whitewater park at the site. The site visit was followed by a public forum to inform residents on what the goals of the proposed project were and to listen to any concerns. 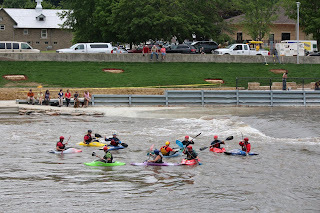 Enhancing the safety of the tailrace to potentially create a continuous paddle trail into the Platte River as well as improving the safety and accessibility of the existing park are the main intentions of the project. 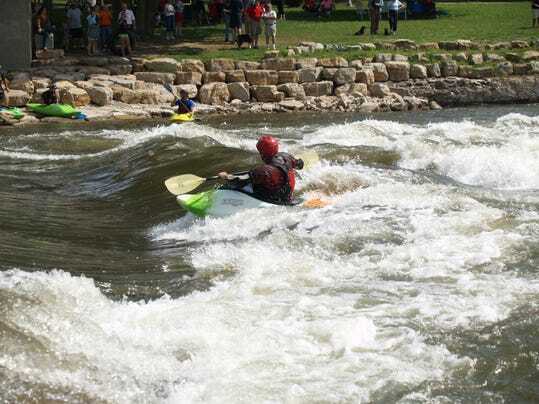 The Columbus Whitewater Park is for the enjoyment of all residents and visitors. 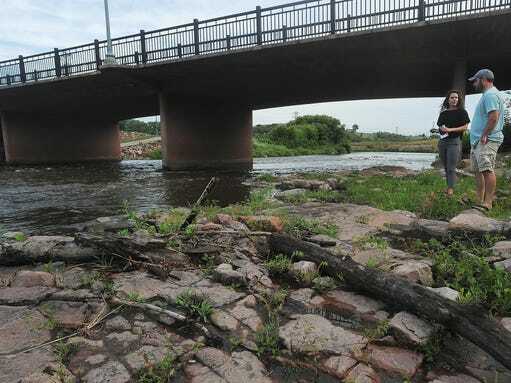 Last week RiverRestoration visited 5 site around Sioux Falls, SD to determine the feasibility of a whitewater park somewhere on the Big Sioux. 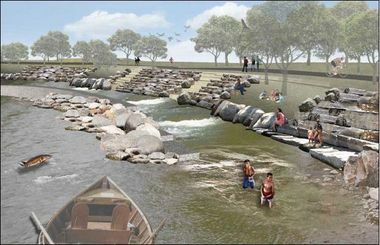 All of the chosen site were within city managed parks. 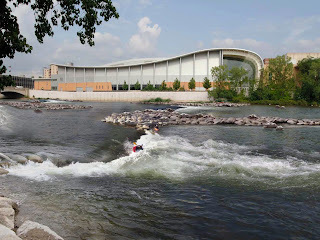 Tuesday we met with the Parks and Recreation Department to keep them up to date on the status of the project. 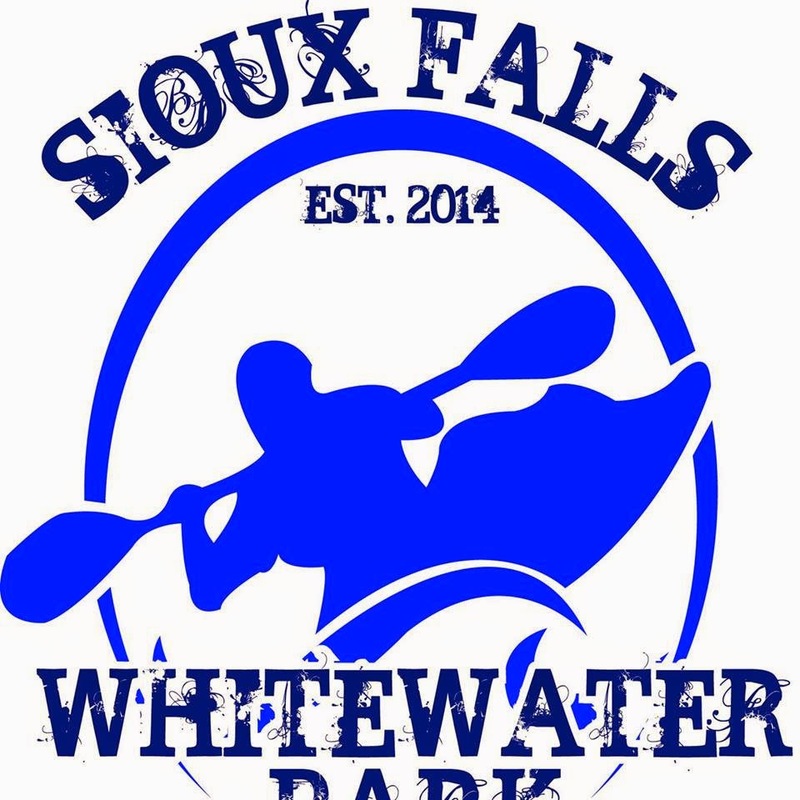 The next step is compiling an opportunities and constraints report so the members of the Sioux Falls Whitewater board can determine how to best move forward. 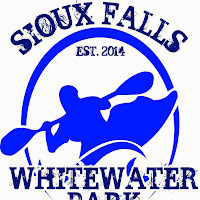 Sioux Falls Whitewater Park is kicking off this summer! New Project on the Horizon! 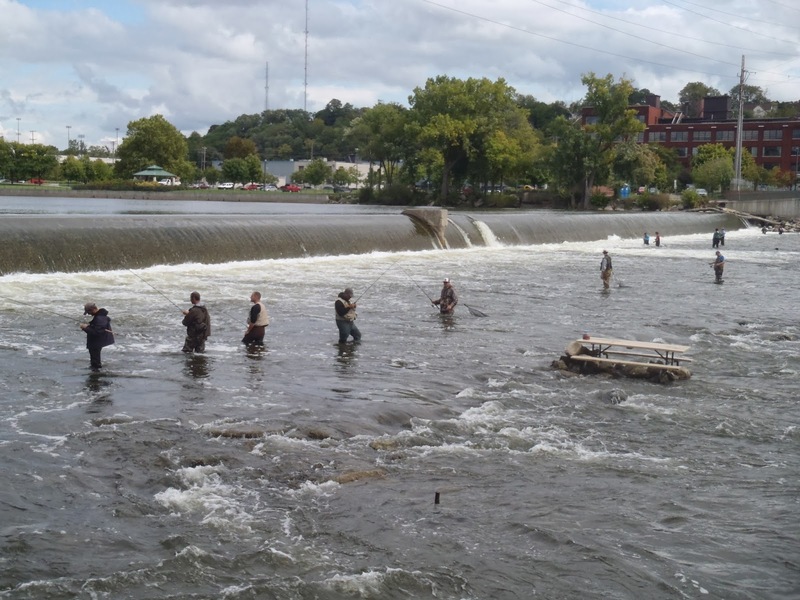 Fast forward to minute 22 to see fantastic coverage of the Grand River Rapids Restoration Project! 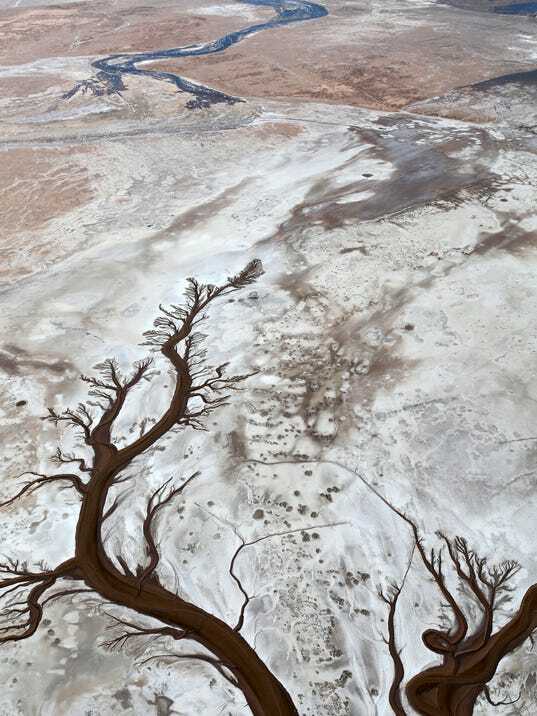 The 5th Annual RiverFest presented by Oldcastle Materials is August 9th at the Colorado River Ranch. After a fun 4 mile river float with Lakota Guides, participants will enjoy a party at the Colorado River Ranch featuring live music from Hardscrabble, dinner from Moe’s Original BBQ and beer from Crazy Mountain Brewery and Bonfire Brewing, as well as wine provided by Vail Liquor Mart. 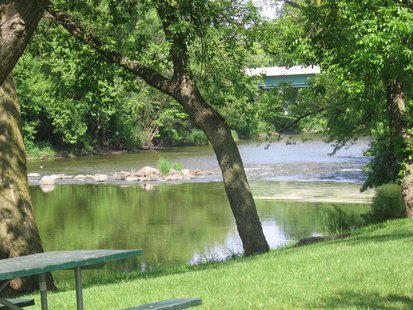 Other activities for this family friendly evening include dancing, a bouncy castle, a silent auction, lawn games and relaxation under the big cottonwood trees. 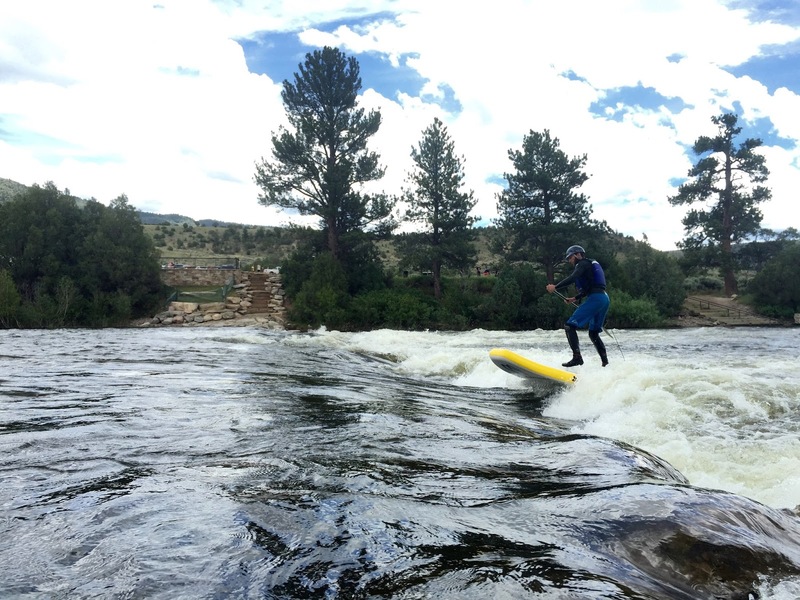 The cost of the full afternoon is $75 and children 12 and under are just $10. Have your own boat? Dinner is just $40. 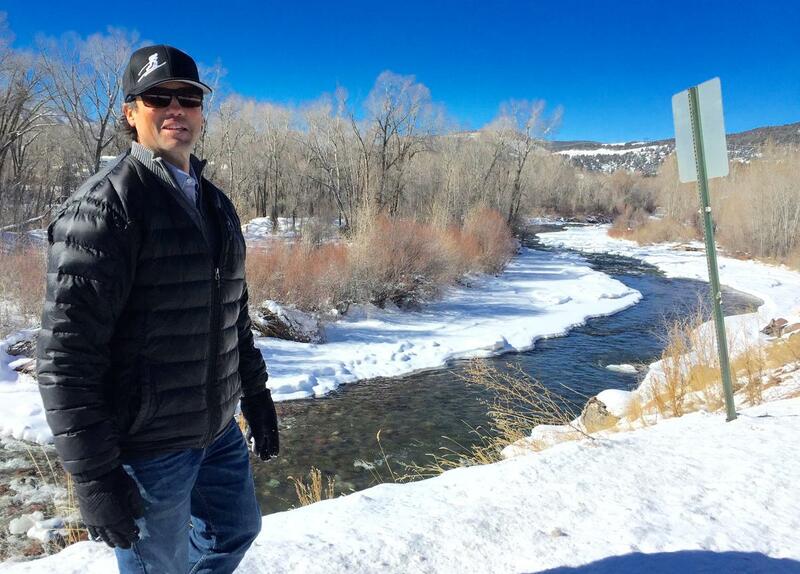 Students from Ogden, Utah's Venture Academy got the chance to learn all about the restoration of the Ogden River from city engineers and are inspired to help out rivers! 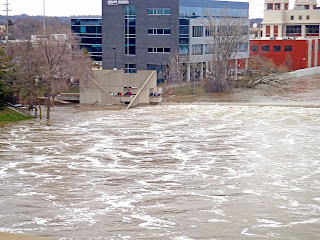 Real Rapids in Grand Rapids? 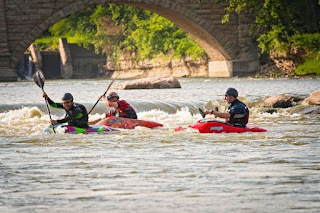 According to a statement from President Obama's office, "the Urban Waters Federal Partnership works to reconnect urban communities, particularly those that are overburdened or economically distressed, with their waterways by improving coordination among federal agencies and collaborating with community-led revitalization efforts to improve our Nation's water systems and promote their economic, environmental and social benefits."